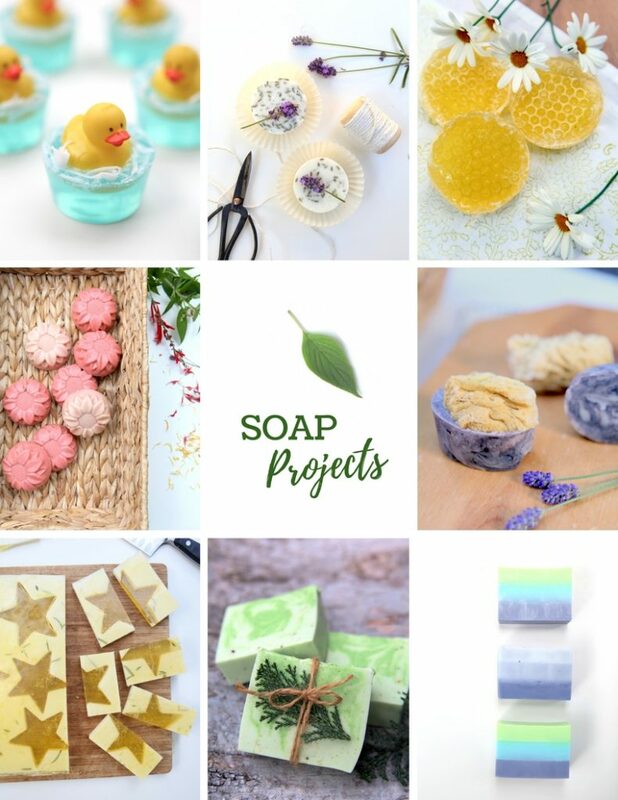 If you are getting started with melt and pour soap (or are searching out the best supplies for soap-making projects), you have come to the right place! This comprehensive guide covers the melt and pour soap supplies you will need to make fantastic soap projects. 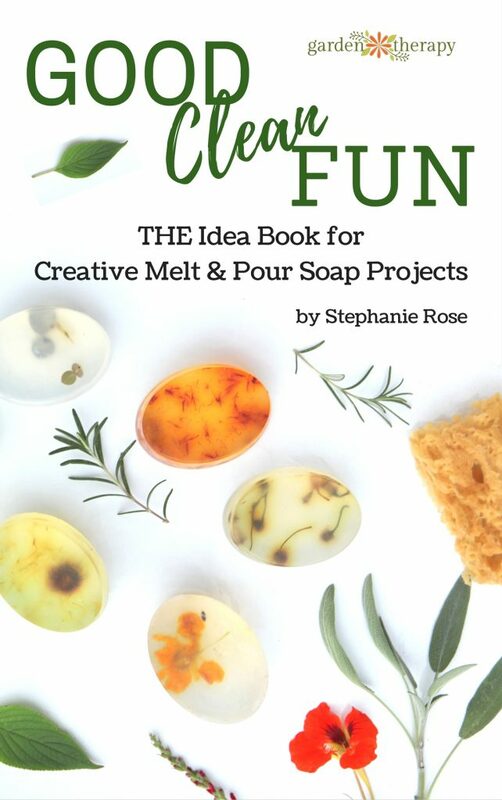 Specifically, the projects in the book Good Clean Fun: THE Idea Book for Creative Melt and Pour Soap Projects. 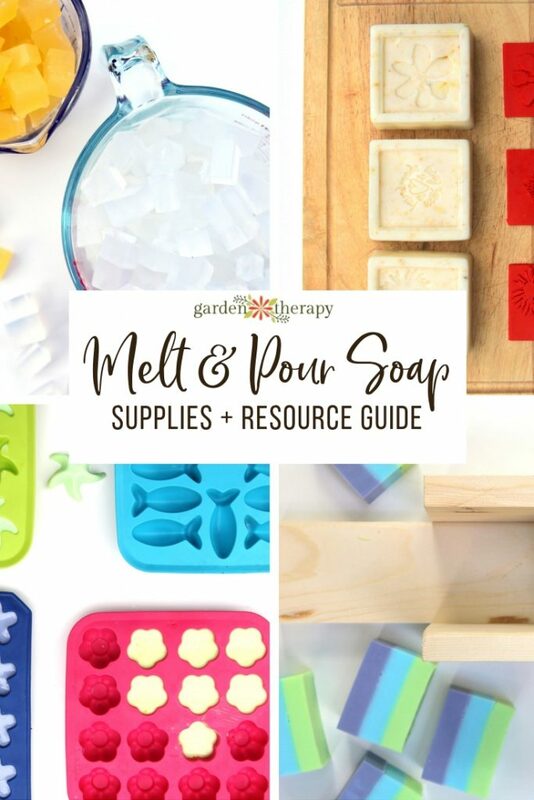 This resource guide lists all of the melt and pour soap supplies that were used in the book, along with some other fun materials that would make even more lovely projects. If you don’t yet have a copy of Good Clean Fun, what are you waiting for?! It’s a whole lot of inspiration and ideas for making perfect looking melt and pour soap projects with ease. Read more about Good Clean Fun here and grab your copy today! There are a wide variety of soap bases, some scented, some unscented, some clear, some white, but they can all be split into two main categories: opaque and clear. The best way to get started with essential oils is to purchase a starter pack and start using them. You will quickly learn which scents you love and which you don’t. Isopropyl alcohol is very handy to have when making melt and pour soap. Keep some in a small spray-top bottle while making soap projects as it will be noted in some of the recipes. You can choose botanicals from your garden or pick up some online. To start making melt and pour soap projects, you will need a few pieces of equipment. Many of these are commonly available in your kitchen. The other, more specialized equipment can be easy to find in craft stores and online. Metal molds such as cupcake and cake pans as well as hard plastic soap and candy molds can also be used but they can be difficult to remove the soap from. Tip: Shrink soap by placing it in the freezer and it will release from the mold more easily. That’s it! Whew! With all of these supplies, you are sure to have some Good Clean Fun in your future. Have fun out there. Soapmaking is so fun! Thanks for this list! Thanks for this great and easy to read article ..
I’m thinking of making oats goat milk soap cutting it into small stars then make a clear soap with some lemon zest and fregrance and pour it over the little stars ” inspired by your photo above ^^ ” , Will that products work for me or you recommend getting something else ? And if I wanted to add some glitter a very small amount to the clear soap can I use fine crushed craft glitter or it would be dangerous for the body although I will use a tiny amount of it just to add some fun effect to my soaps . And one more Q Is it ok to use make up shimmer or glitter ( also a tiny amount ) or it’s a bad idea ? Sorry for the long Qs I want to make it the right way possible .